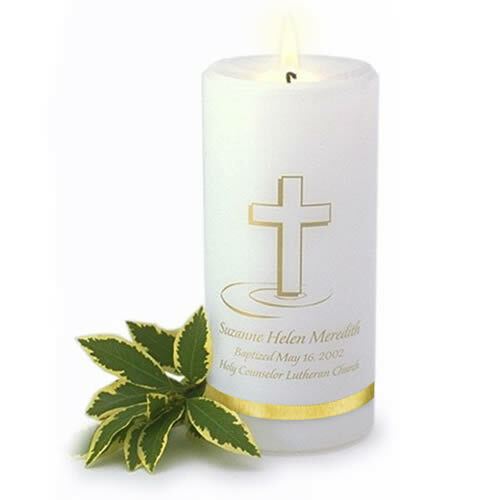 This religious remembrance baptismal candle commemorates holy baptism with its cross motif, date and location of the baptism, and baby name. Includes one 3"x 6" personalized white candle. Enter Baby Name in Line 1. Enter Date in Line 2.